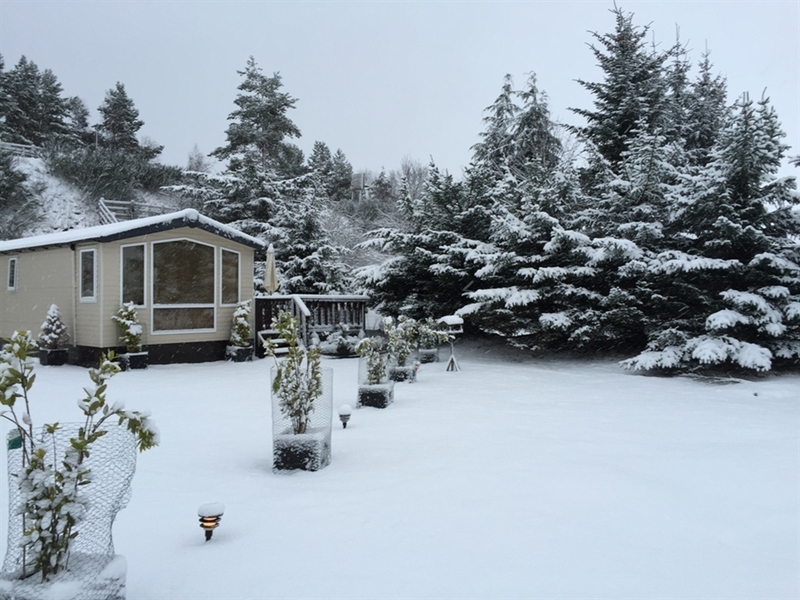 Welcome to Ardlogie Holiday Home situated in the heart of the Cairngorms National Park, providing luxury self catering accommodation for up to 6 people close to all the amenities in Aviemore. 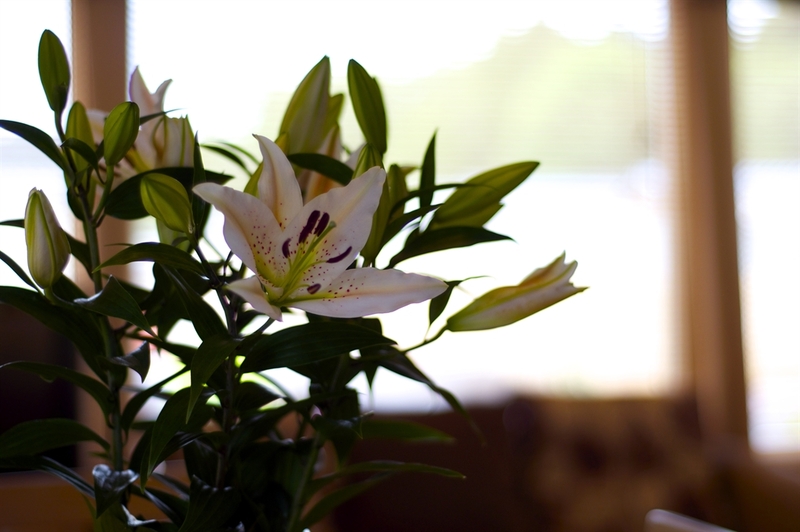 The Ardlogie holiday home, provides all year round luxury self catering accommodation sleeping up to 6 people. 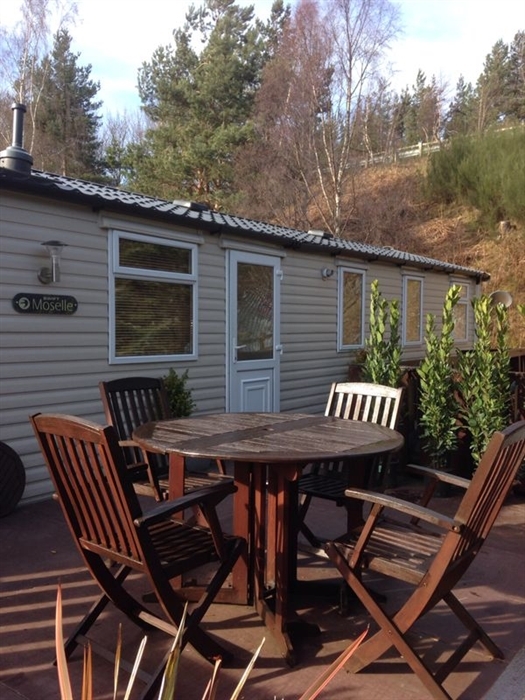 It is located in the heart of the Cairngorms National Park, at Aviemore Holiday Park, Aviemore in a quiet location close to all amenities. 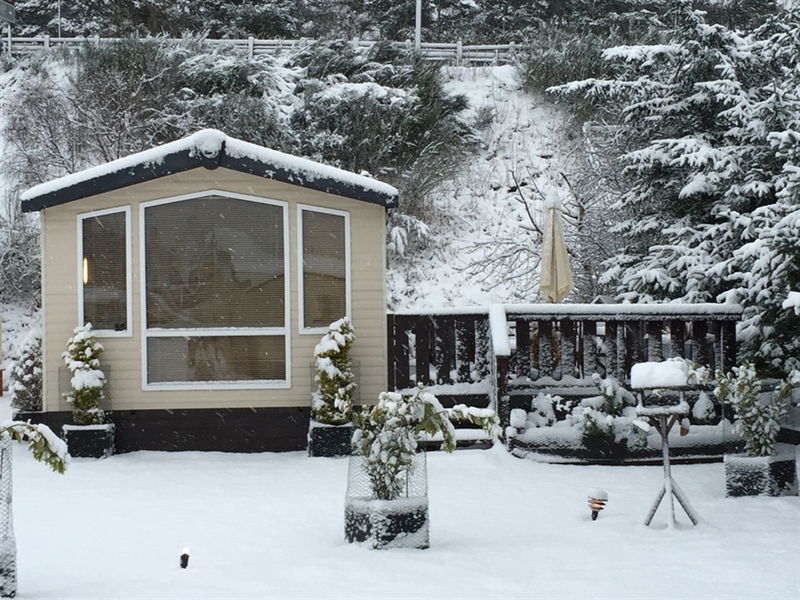 It is fully insulated with double glazing & central heating throughout providing warm cosy accommodation for up to 6 people at any time of the year. 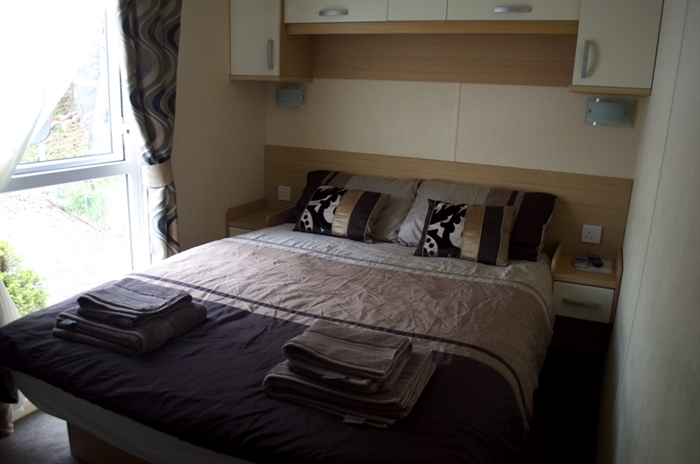 There are two bedrooms with twin beds and one with a double bed with satellite TV. The holiday home has an open plan living/modern fully fitted kitchen area. 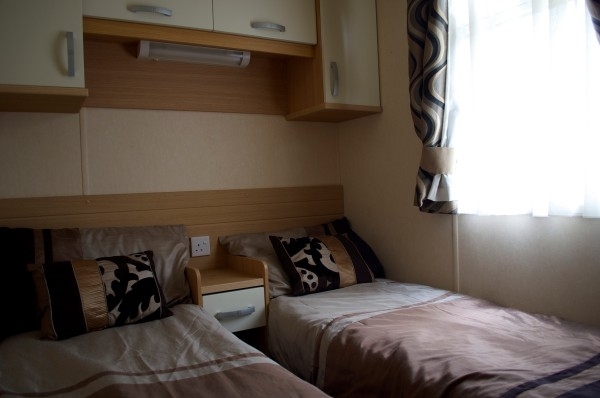 Facilities include a 32inch flat screen digital TV, a kitchen area with cooker, fridge, microwave, etc and a separate shower room/WC and additional WC. We offer a number of extra’s to make your stay more enjoyable, including a selection of board games, WII, panini & ice cream makers. There is a large outside decking area with BBQ and an off road driveway which can accommodate 2 cars. There is also plenty outdoor secure storage for bikes and skis. Good quality bedding & towels are supplied. The Old Bridge Inn is close by with it's log fire, cosy bar, live music and great atmosphere, serving a modern Scottish menu. 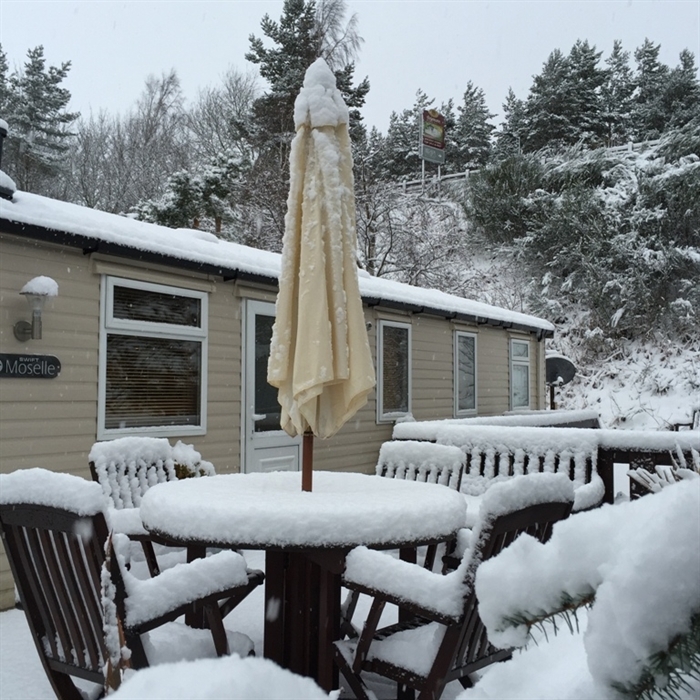 This is just a few minutes walk from Ardlogie Holiday Home, as is the centre of Aviemore, where you will find a good selection of shops, cafes, bars and restaurants. We are also close to the railway station and bus stops. 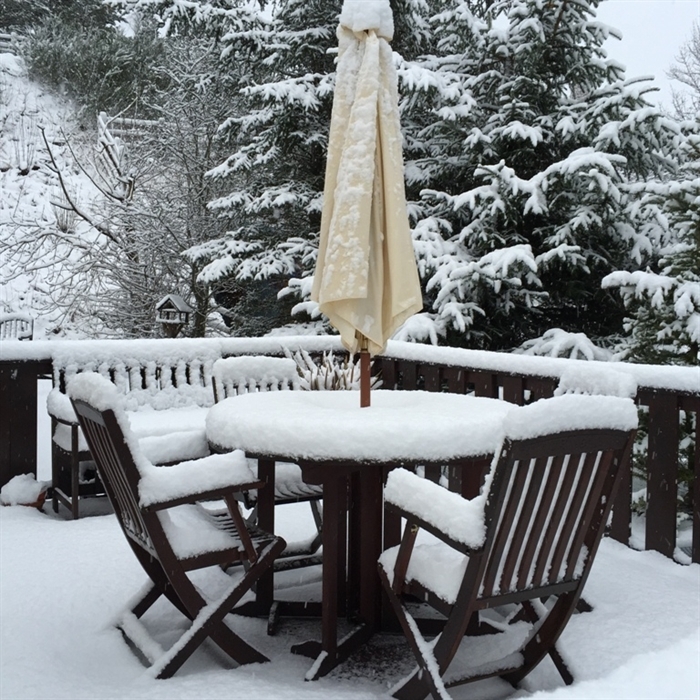 Ardlogie Holiday Home is a convenient base for exploring all that the Cairngorms National Park has to offer including Winter sports, Walking, Cycling, Fishing, Water sports, Golfing, Wildlife Watching, Photography and of course our famous Speyside Whisky Trail . We are also ideally located for The Speyside Way + Sustrans Route 7. Discounts of between 10 - 40% available on stays of 4 nights and over!